Decent episode this week. Wasn't what I expected to be but I was still okay to watch - I wanted to see more dancing. I was expecting to see the routine Sengoku prepared for Tatara and Mako to be shown in this episode, but I guess we're getting it next week. This episode dealt more with the dynamics between all the main characters. I was expecting Hyoudou's second coming to be more... eventful since he's one of my favourites in this series but he didn't give me what I wanted from him, which was interacting with Shizuku: discussing the state of their dancing dynamic, why he's kept secrets from her, and what the future holds for them as a dance duo. I want to know what Shizuku is thinking, since she hasn't revealed much about herself and her thoughts this far in the anime. It's weird how this episode it made it look like dancing is so easy since, we see the dancers on the floor floating and gliding as if they're on thin air while they're dancing. On top of that, Production I.G doesn't make it look like the heats are even that long to begin with. 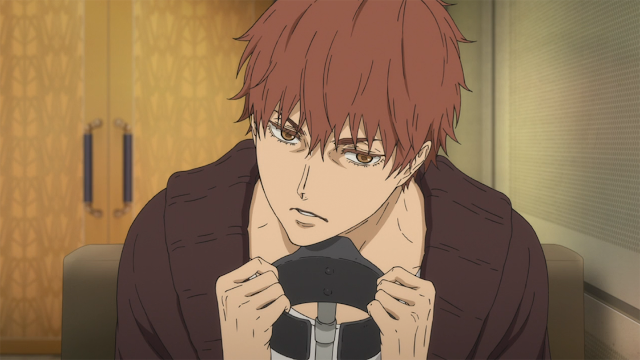 So it was weird watching Tatara struggle to keep his stamina up while he was dancing, since from the looks of it the styles of dance don't even look that taxing, and the lengths of these heats don't look that long... Especially when you get breaks from heat to heat to recover and rest. And how about Hyoudou's mother? She seems like an interesting animal. I wonder what her relation is in regards to Sengoku, Gaju and Mako. Not much is mentioned about her in this episode, besides the fact that Sengoku seems to be intimidated by her, and she's... "loose" with her fashion sense. 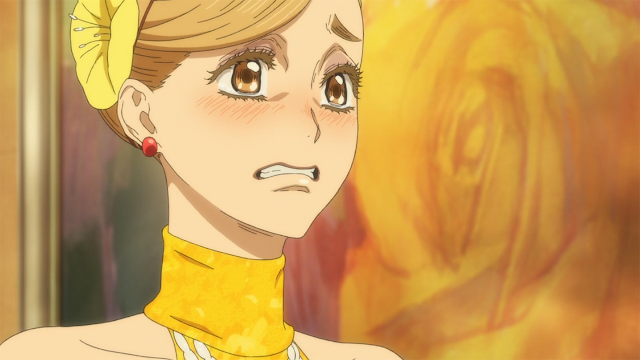 Just to briefly touch on the subject of fan service in Ballroom. 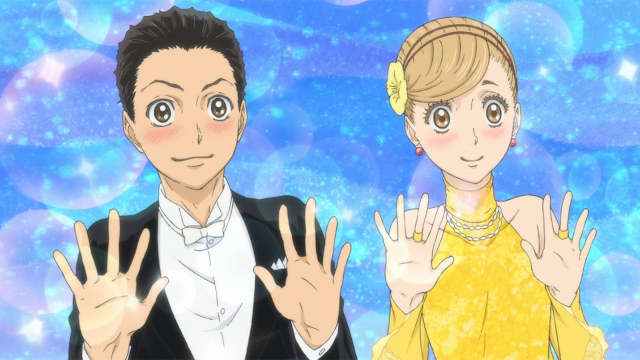 There's barely any of it in Ballroom but when it's shown, it is totally not necessary. The anime could do so much better without it, it's a great piece of work so far without the fan service. I don't need Gaju to have a nosebleed every time he fantasizes about Shizuku, or burst into a nosebleed over seeing a set of voluptuous breasts of a middle-aged woman. Again, great to see Tatara and Mako bounce off each other. The two of them seem to have developed a symbiotic relationship towards one another. You can for sure see Mako, in her words, "bloom" by the end of the episode. 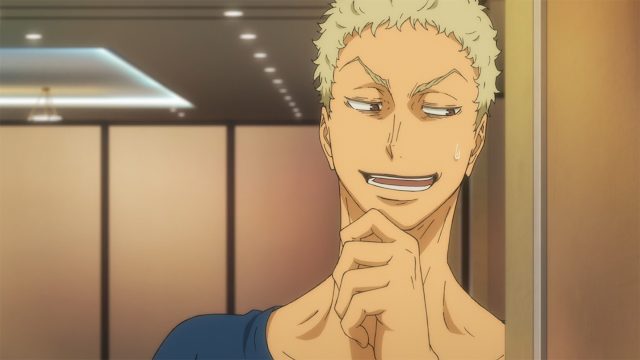 Next week's the finals of the Tenpei up, and I'm eager to see Mako and Tatara in full force!